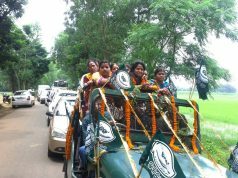 Report by Badal Tah; Rayagada: Rayagada Forest Division was created at the fag end of year 1997, which was carved out from the erstwhile Jeypore estate Division. The jurisdiction of the Division is co-terminus with the Rayagada Civil District having head quarters at Rayagada and comprises of 7 Ranges namely Rayagada, K.Singpur, Tikiri, Kashipur, Muniguda, Gunupur and Gudari. The Division lies between 18°14N to 19°58N latitude and 82°25’E to 84°02E longitude and its geographical area is 7073 Sq.Km. Forest area covers an extent of 4785.36 km2 out of which 777.27 km² is Reserved forest. Hence, the district is covered by 68% of forests out of the total area. Only 11% of the total area of the district falls under reserved category. Rayagada forest range headed by Ranger Sri Pravakar Senapati is on the spree for maintenance of environmental stability through preservation and where necessary, restoration of the ecological balances that has been adversely disturbed by serious depletion of the forests of the range. Various steps have been taken for conserving the natural heritage of the range by preserving the remaining natural forests & increasing sustainability the forest/tree cover in the range including the district headquarters through massive afforestation programme. 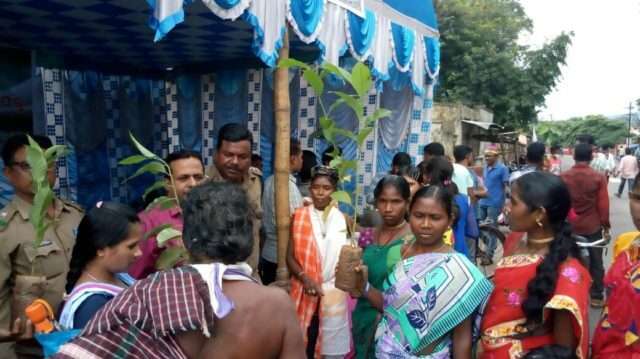 Recently on the eve of Bahuda Ratha Yatra, Senapati was instrumental in creating a massive people’s movement with the involvement of tribals & women and distributed various kinds of plants freely to people, who came to witness the rath yatra. The distribution ceremony was jointly graced by Sri Rahul P R, SP, Rayagada and Sri Debarchan Behera, DFO, Rayagada. 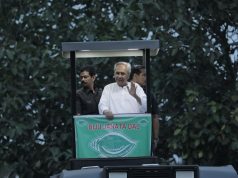 “This will not only green Rayagada town and the villages in its vicinity but also meet the requirement of fuel wood, fodder, minor forest produce and small timber of the rural and tribal populations. 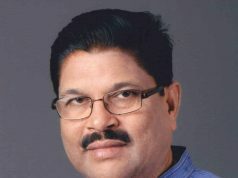 Further it will check soil erosion and denudation in the catchments areas of rivers for mitigating floods, which have become a recurring phenomenon in Rayagada”’ said Behera. According to Senapati, as slowly the forest resources are depleting for various reasons, people’ participation in massive plantation with technical guidance by the departmental staff will certainly ensure environmental stability and maintenance of ecological balance including atmosphere equilibrium which is vita! for sustenance of ail life forms: human, animal and plant.